Home Internet & browsing Does 4G LTE Network Devices Consume Internet Data More Than 3G Network? Does 4G LTE Network Devices Consume Internet Data More Than 3G Network? Many times, people have confused the data consumption rate and data volume between a 4G LTE network device and that of 3G networks, in other words the data consumption rate between device on 4G network and that of device on 3G network. And the general idea and the often wrong perception is that devices on 4G LTE network consume data more than those on 3G network. The first thing that we would like you to know is that just as we indicated above “wrong perception” that is exactly what it is and if you also bear such notion, it is high-time you jettison it and know the fact about data consumption rate and data bundle/volume consumption. These types of notions often remind us of the other wrong notions that un-techy folks often harbour like those that believe that webmasters often make their money on the internet whenever web-visitors visit webpages with their internet data bundle, and that the data they use is being converted to cash and being credited to the webmaster account. Back to today’s business, we are here to correct those wrong notions and set the record straight and clean. If you are one of those folks out there that also want to know or that just feels that devices on 4G LTE network consume more data than those on 3G network then this post is exactly for you. Firstly, there is different between data consumption rate or data burn rate and data volume/bundle consumption; the data consumption rate is the speed at which your data is being depleted while data volume/bundle is the size of your data packet at any given time, which are often given as Kilobyte (KB), Megabyte (MB) or Gigabyte (GB). Now when people bear the false notions that 4G LTE network consumes more data than 3G networks, what they normally insinuate is that 4G LTE network consumes more data volume/bundle than 3G network, which is definitely not the case and it is rather the other way round that 4G LTE network is faster and therefore the data burn rate is faster than that of 3G network. 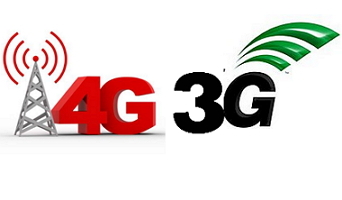 Now to further clarify the wrong notion; when working with 4G LTE network, you will consume the same amount of data on a particular piece of work (browsing & downloading) as you would with 3G networks, but the only difference now is that you will accomplish your task faster with 4G LTE network than working with 3G network. In other words if the question “does 4G LTE Network Devices Consume Internet Data More Than 3G Network?” is popped, the right answer should be no that neither 4G LTE network nor 3G network consume more data as the data bundle consumptions are the same but only that 4G LTE data burn rate is faster because it offers faster access to the internet and what both network gives is exactly what you get in return in terms of data consumption. Finally, if you have let say a 10GB data bundle at your disposal on your device, the same amount of work, which you would use a 4G LTE network device to achieve with the 10GB data volume will be exactly the same amount of work that you would achieve while using the 10GB data volume on a 3G network and the only difference as mentioned above is that you would accomplish the task faster on 4G LTE network than on 3G network. Wow just knowing this now thanks alot bro.